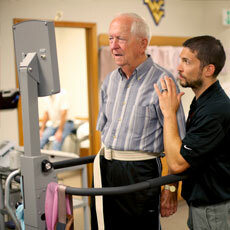 Bridgeport Physical Therapy has been serving patients in north central West Virginia since 1984. We have always taken pride in the fact that we have been leaders in providing the highest quality physical therapy care in the area. We were the first clinic in the area to offer ASTYM soft tissue mobilization, Aquatic therapy, Anodyne therapy, laser therapy and microcurrent electrical stimulation. At BPT, we have been utilizing the John Barnes myofascial release approach for nearly 20 years. This safe and very effective treatment technique has given us the ability to help thousands of our patients recover from acute and chronic pain. ASTYM is a new and exciting treatment for acute and chronic soft tissue injuries. The Astym treatment recently helped local attorney Doug Lee return from injuries to participate in triathlon competitions. At Bridgeport Physical Therapy, we utilize the John Barnes method of myofascial release. Scientific research that is being performed internationally is confirming the importance of the fascial system in our bodies. This system shortens and tightens due to trauma, surgeries (scar tissue and adhesion formation), stress, poor posture, etc. This tightness results in incredible pressure that can lead to chronic pain and decreased function. This very safe and gentle myofascial release approach has been proven to be highly effective at decreasing pain and restoring function in patients when other methods of treatment have not been helpful. For more information on this effective, exciting treatment approach, Click Here. Bridgeport Physical Therapy was the first PT clinic in our area to offer pool therapy. Performing exercises in an aquatic environment was first used in ancient Greece and it remains one of the safest and most effective methods of restoring strength, balance and endurance . Bridgeport Physical Therapy offers treatment with low level laser therapy. This treatment has been found to be effective in helping injuries heal faster. BPT provides microcurrent electrical stimulation technology to help our patients with acute and chronic pain. This modality provides electrical stimulation at a very low voltage that is similar to what naturally flows through our bodies. Research has show that stimulation in this range accelerates healing of injured tissues. We are also able to provide electrical stimulation to acupuncture points with these modalities. Bridgeport Physical Therapy offers specialized treatment of upper-extremity including hands, wrists, elbows, shoulders, and necks. They also understand the patients’ concerns about loss of function in daily activities, sports, and leisure activities. 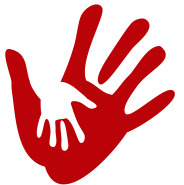 Conditions treated include carpal tunnel syndrome, arthritis, burns, fractures, tendon injuries, amputations, nerve injuries, work injuries, and sports injuries. 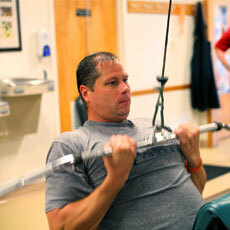 Bridgeport Physical Therapy offers sports medicine to help increase performance. Sports Medicine can help restore function, decrease pain, increase strength and flexibility, prevent injury, and optimize performance. BPT has several licensed physical therapists professionally trained and certified to perform this technique. Bridgeport Physical Therapy was one of the first clinics in the state to provide Anodyne Therapy for our patients who suffer from diabetic peripheral neuropathy. This unique and exciting treatment has resulted in improvement of diabetic neuropathy symptoms in 85-90% of patients treated. Bridgeport Physical Therapy is one of a few clinics in West Virginia that uses the Biodex Balance System to help patients regain their balance and lower extremity strength. BPT offers traction for low back and neck pain. This is especially effective for disc related symptoms. Lymphedema can occur spontaneously, be due to decreased circulation, or be due to cancer treatments. Lymphedema from cancer treatment sometimes doesn’t occur for years after treatment. Bridgeport Physical Therapy offers complete decongestive therapy which is the gold standard in treatment of lymphedema. This treatment includes manual lymphatic drainage, as well as compression bandaging or compression garment fitting and training. The primary goal of lymphedema treatment is to provided patients with education and strategies to manage and reduce swelling independently at home. We have a very extensive variety of exercise equipment and techniques.